When queue for public buses were intimidating, we looked for an alternatives- cab. But, things were still unusual- hike in a price and usually, they would not drive to our destination because of lodged traffic jams. So, we dealt a cross section push and pull into crowded bus instead of bargaining destination and price into a cab. Now, things have shifted to safer, comfy side as you can book cabs whenever required in a reasonable price. Sarathi cab intends to grasp technological support in meeting the demand for urban mobility in Nepal. 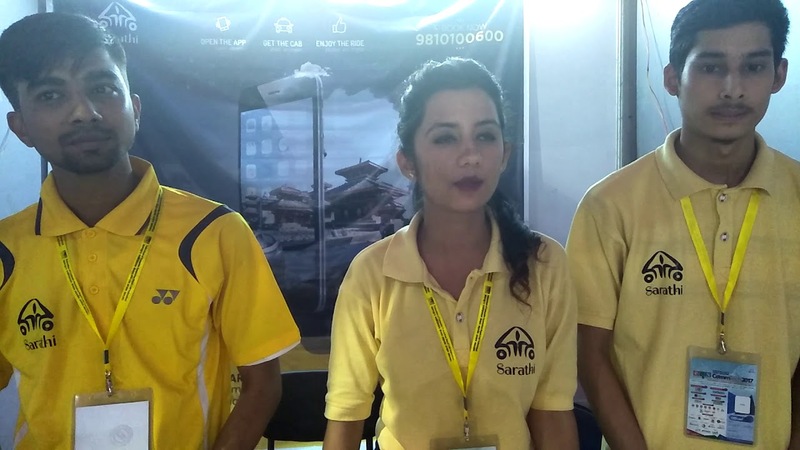 Dynamic cofounders Ravi Singhal and Prakash Neupane analyzed the need of taxi services in Kathmandu and experimented consumer focused venture called Sarathi cab. Both of them were working in tech communities, where Prakash Neupane was an open source community member and Ravi Singhal worked in Microsoft community. They used in various events as they belonged to same community, so, they had an extensive research on technological prosper in human need. on value driven enterprises. Finally, they came up with value oriented customer services; Sarathi cab. This service led people to rejoice car coziness as per their conveyance. They believe drivers are employees who do not only drive well but also guide customers and share their knowledge; the same as Bhagwan Krishna did in Mahabharata for Arjun. Hence, the name Sarathi was chosen. Sarathi cab was established in 2016 and has executed since 2017. They intend to drive technology management system and bag down economic stability of cab owners as well as drivers. Similarly, it is also focused on rendering reliable services to customer unlike other taxi ride. Nepal has the potential to benefit from strong growth in global travel mostly driven by neighbors China and India. While the cab industry standalone gathers NRS 12 Billion of transaction every year in Kathmandu, green plate (tourist) vehicles hold intercity rental business with decent transaction. There is an instant demand on carpooling, leasing and booking due to transportation need. Thus, Sarathi cab integrated with various stakeholders in mobility services provision. In order to confront cab management hassles, they are trying to alter systematic booking, leasing and carpooling array in customer addiction. Sarathi cab is a close companion of cab entrepreneurs, drivers and of course, a customer. Sarathi formally offers you hygienic and clean cars for your destination drive. Your handy mobile will aid on finding taxis whenever your legs are desperate for comfy ride. Payment is also accessible through card/cash and sometimes you will be fortunate enough to perceive coupons, discounts offers and referrals. It exhibited problems like scare of trust by cab owners and cab drivers. It was not their fault though. Even, drivers and owners have gone through past failures. Fortunately, Sarathi cab owned their trust in such short course of time. Now, it is inspecting other cab management hurdles and aim to discover and abolish it via technological aid. Professional: Proficient and earnest in what we do, while showing genuine respect in dealing with our customers, partners, vendors, and teammates. Strategic: Follow best practices without sacrificing innovation when it comes to serving customers. Sarathi cab aspires to stream line 10000+ cabs in Kathmandu and then expand the services to multiple cities. On a giant hula hoop of Uber/ Ola/Lyft, Sarathi aim to compete its tenacity in international level with the virtue of upgraded apps and app based payment.